#Update (17-06-2018): wheneven Raigad Police will publish any latest information about the constable Bharti or Constable Bharti examination results we will update it here before anyone. 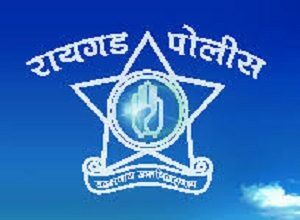 Raigad Police Constable Bharti Result 2018: Raigarh police has been announced the written examination result for 83 posts of constables in the police department. Raigad Police, Maharashtra has been uploaded the merit list according to the category. You can check your result according to your the category. Raigad police also declared the result of bandsman post. Written examination result is according to Open, ex-serviceman, Open Female, Open Sportsman and open general. Latur Police, Latur, Maharashtra also declared the Latur Dist Constable exam result on their website. You can also check that constable exam result through our website Indiaresults. The Official website of Raigad Police is http://raigadpolice.gov.in so candidates should visit the official website of the department on the regular basis to get latest updates. Stay in touch with us to get latest updates about Raigad Police Constable Bharti Result 2018.